Friday the 30th I got my car back from the shop and wanted to take it on a little test drive, so i went up to the mountains to Hyatt Lake. Hyatt early in the year is good to great for rainbow trout. It opens on trout opener on the 4th Saturday of April every year, but some years its still covered in ice by then and not safe to fish on, and closes to fishing on October 31st. 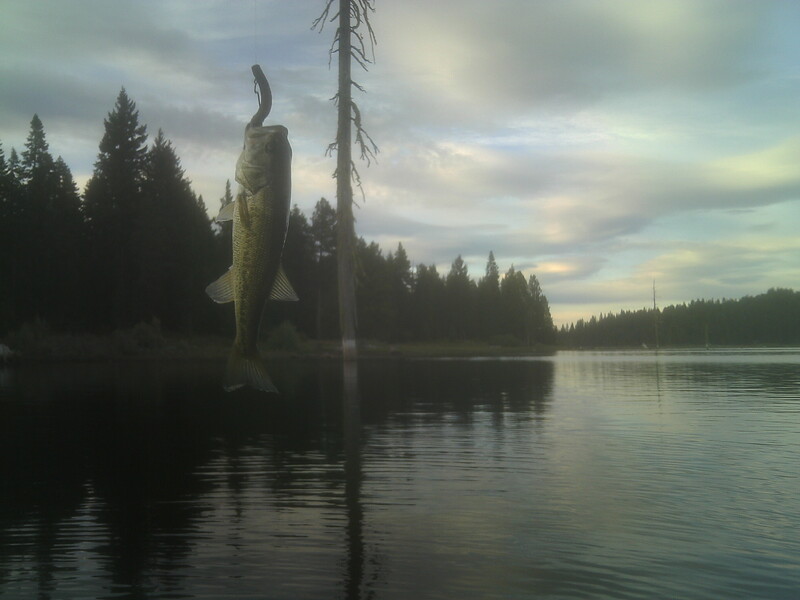 But this time of the year its hard to keep the Large Mouth Bass off what ever you use. 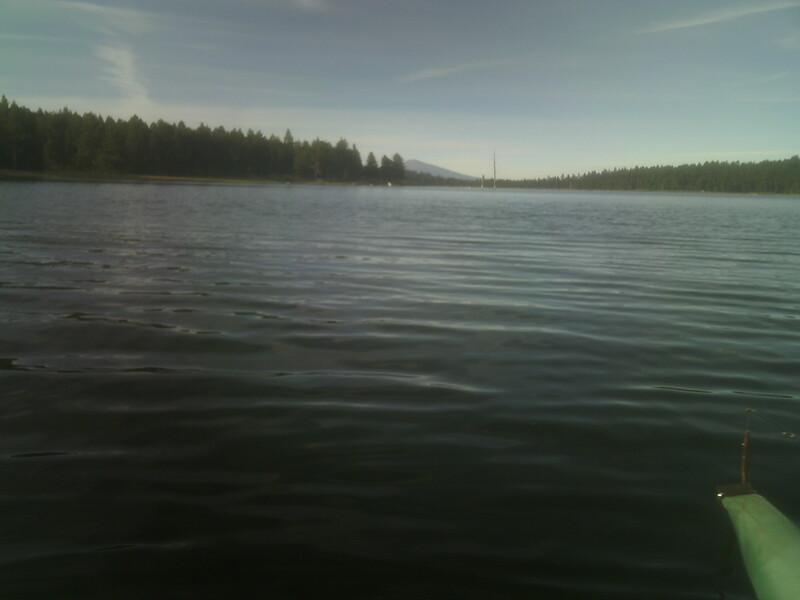 This Lake used to hold some BIG bass but the past few years its been infested in small stunted bass, that are all the same size. Although my step sister Brandy caught a nice 3-4 pounder ealrlier this year its very rare, they’ve actually re-located over 5,000 of these little bass this year alone. Also this lake holds the un-offical state record Large Mouth bass record caught by Colby Pearson, read the story here. I met Colby earlier this year at the local expo ponds, and recently we’ve fished Lake Selmac together from our pontoons. The Mountain in the background is Mount Mcloughlin by the way, just encase you’ve seen it on my blog before. 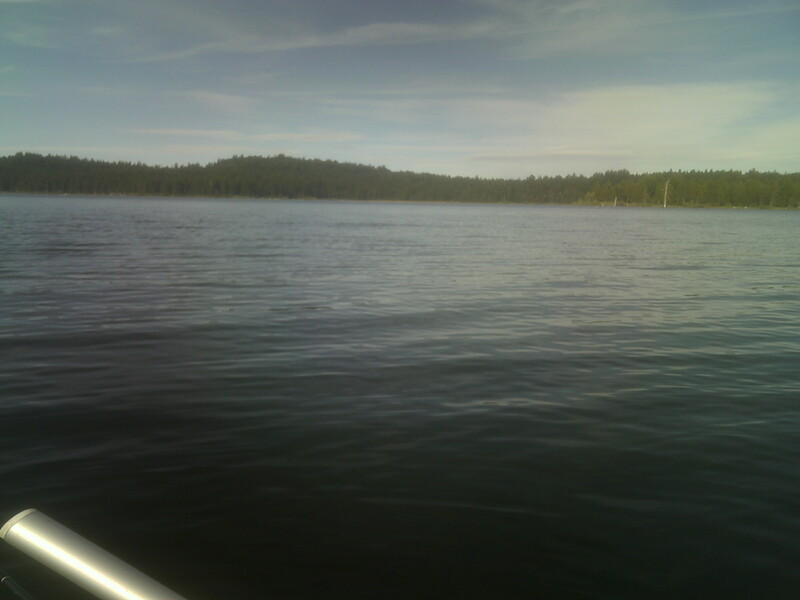 I arrived to the lake around 4 in the afternoon. I fished for a few hours, before i got too cold (forgot my jacket). But i did mangage to catch ALOT of bass in that little amount of time. At one point i was getting a bite every cast and hooking up two thirds of the time, only manged to use one Yum Dinger worm the whole time too. This entry was posted on October 15, 2010 by blazer_shane. 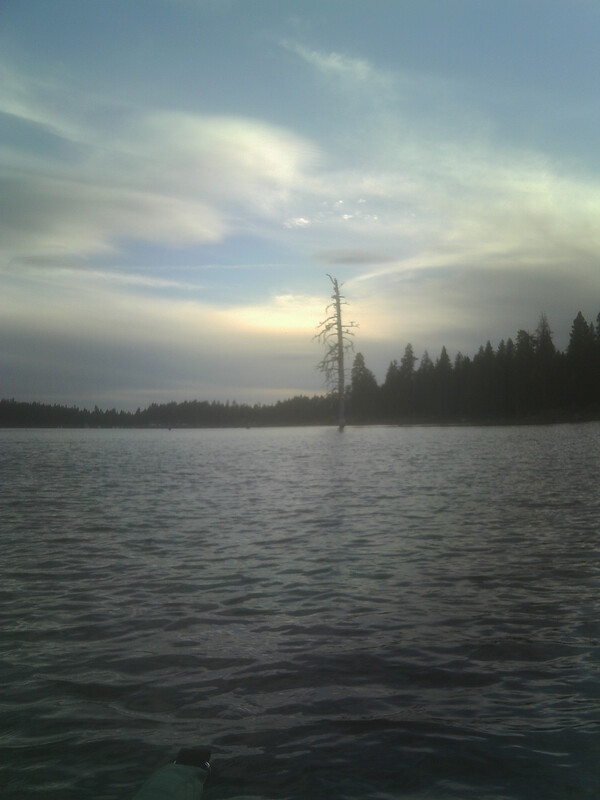 It was filed under Hyatt Lake, Uncategorized and was tagged with Bass, Hyatt Lake, Southern Oregon.